I was born in Madrid on March 3, 1956 and graduated from Calasancio School in that city. 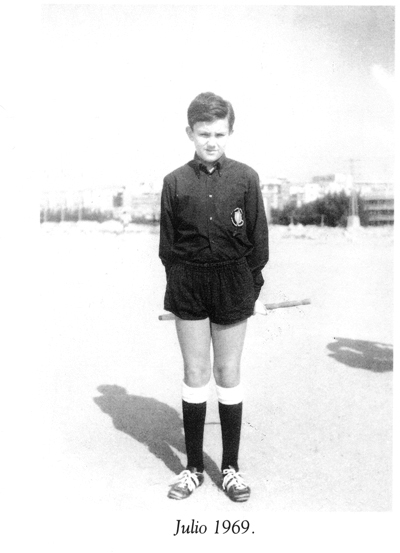 My father, a great football fan, showed me the world of football and refereeing when I was a little kid. On Sunday we would watch football at all levels. We switched from that hobby to the most amateur refereeing. Our Sunday would start early in the morning going down to a nearby football pitch, now defunct ‘Campana’, where non-associated teams who had need of a referee used to play. That was one of the many open pitches, which meant there was just a plain field, usually in rough condition, with a couple of goals with nets spattered with multi-sized holes and a shed which served as a changing room and canteen. The best equipped pitches were kept for associated games, but for that I would still have to wait. That eight or nine year old boy caused some charm among the attendees and viewers. Certainly then, I learnt that mistakes or those which were thought of as mistakes, were neither understood nor forgiven in referees. Some time later, we went on refereeing a humble but well-organized Social Football Tournament called Iberia-Galileo. The reason was refereeing with more guarantees. I kept assisting my father on the sidelines until 1972 when I started refereeing amateur adult teams, usually with little training, well overweight but definitely with a strong interest in this sport. I spent several years at this marvellous elementary school of life and refereeing (98 games refereed) before joining the Colegio Castellano de Árbitros (Castillian Association of Referees) in 1974 complying with the minimum age requirements. That was my beginning at associated football. After a briefing on the Rules of the Game, the matches were the actual learning. After covering all categories of regional football, as was required, living countless situations of all kinds, I reached the football national category in 1980. In those years I also practised as an amateur many sports such as football, judo, karate, table tennis, weightlifting and aikido. In 1978 I was admitted at the Instituto Nacional de Educación Física or INEF in Madrid (now Faculty of Physical Activity and Sports) and completed my degree in Physical Education and Sports in 1983. Those were fantastic years that would serve me as an excellent basis for my career and professional refereeing. During that period of time I also refereed university league games and the emerging five a side football. My professional career, always meanwhile I was refereeing, began when I was an INEF student of 5th year as coordinator of leisure activities for a borough council of the province of Madrid. After that, once I had concluded my university studies, I worked as a Physical Education teacher in CEU Montepríncipe School of Madrid and ended my teaching career as a Football teacher at INEF in Madrid until 2001. In 1989 I made my début at the first division and as international in 1993 until 2001 when I had to retire complying with the maximum age requirements of refereeing at the playing field. A curious anecdote takes place during the refereeing of the Final of HM The King’s Championship 1995: RC Deportivo-Valencia CF, held at the stadium Santiago Bernabeu on June 24th. A downpour floods the stadium and postpones the match 10 minutes before the end of the game, when the scoreboard showed 1-1. Three days later, on June 27th, the regulation time concludes. There have been many a fruitful experience in all those years, a FIFA World Cup, the Olympic Games, Continental and Intercontinental Finals, the Finals of HM The King’s Championship and countless games all accompanied by dearest friends and also excellent referees and assistant referees. Immediately, after the playing field, there started another step of my professional career in refereeing as Director of the first Escuela Nacional de Árbitros del Comité Técnico de Árbitros (National School of Referees of the Technical Committee of Referees), known as CTA, of the Real Federación Española de Fútbol (Royal Spanish Football Federation), RFEF. 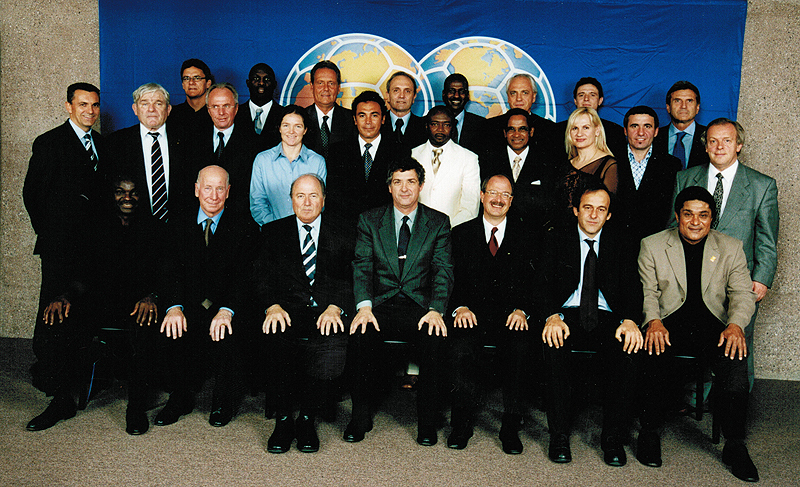 During that time I became a member of the UEFA Referees Committee and the Committee of FIFA Football, before becoming the first Head of the FIFA Referees in March 2003, a position that I exercised for 8 years. After this superb experience, in 2011 I started a new professional challenge as a consultant in sports and refereeing. Two big professional lines start off at this point. In April 2011, I was appointed Adviser to the President of the Russian Football Union on refereeing matters, a position which I held until August 2014. Until January 2013 I exercised as Director of the International Center for Innovation and Development (CIID) of the Royal Spanish Football Federation (RFEF). 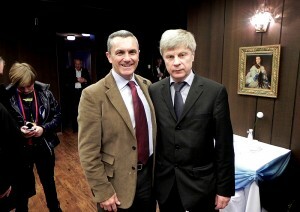 From February 2013 I start to work as Adviser to the President on international refereeing matters. During these past years I have also done occasional consultancy work and courses in different countries, Mexico, Arab Emirates and Oman.